Two experiments tested the motivational synchronicity hypothesis, according to which observation of a target person’s behavior implying an intrinsic or an extrinsic motivational orientation primes the observers’ corresponding motivational orientation. Experiment 1 revealed that participants exposed to a target person intrinsically motivated to perform a task, relative to those exposed to an extrinsically motivated target person, showed greater intrinsic motivation (free-choice persistence) for the same task. Experiment 2 extended this in two important ways: (1) different tasks were used for the target and participant in order to rule out an expectation-based interpretation of the results, and (2) performance on an activity known to be facilitated by intrinsic motivation was used as the dependent measure. 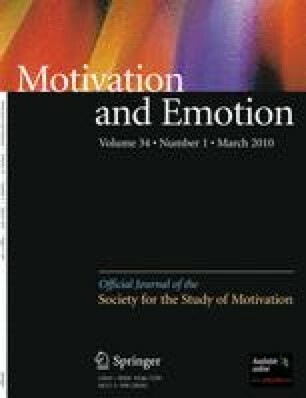 It appears that simply observing others’ motivational orientations influences the accessibility of the observers’ corresponding motivational orientation.